Last night I made some fotoshop-works for the nativemyanmar forum.I think I don't like the works so much.Feels like something is missing. Two days ago, my friend called me and told me that she could not accompany with me to see the movies together anymore.That's quite sad but I can't control the other people.So let it be.Why should I care about it anyway? 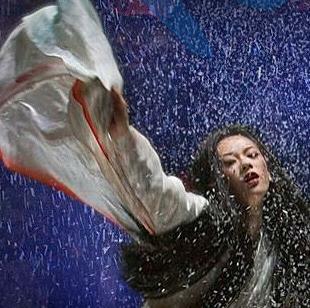 So today I went out to see the movie by myself.That's a late night show and the show was "A story of geisha". It was really a good show. Two boys on the left side of me and a young couple on the right side sat and enjoyed the movie togehter. I always assume the people beside me are my friends when I watch the movies.That's always make me feel better. Even if I go together with my friends ,they are not good at discussing about the movie after the end of the show.They found it quite childish to do that. I bought a ticket for 11 o clock.That's 7 o clock when I bought the ticket. Good looking and annoying sales-girl asked me that whether I want to buy two tickets.I prefered to say "Yes,if it I count you as one" but most of the people(sometimes me myself) have no sense of humour,so I dropped that idea. So I desperatly tried to waste my time until 11. What did I do ? After Having a dinner in Macdonal ,bought a discounted book(A book name is "A fishing rod for my grandfather").Luckily that book won noble prize,only 9 dollars and on the top of that it kept me away from boring until 11. Sometimes better to be alone isn't it? What I want to tell you is not about the story of the movie, you could find that on the web easily.What I want to tell you is how i feel about this movie. The background sound is the critical soul of the movie and I just felt like what I experienced during the show was a beautiful art crafted in details. One true thing about movies related to japanese culture is that ,you will surely find the cherry and snows in the movies and you will never find yrself getting bored everytime you see it. The background sound of the japanese drums(I don't know the name) and violins relived the excitements once I had when I watch "Croucthing Tiger Hidden Dragon". Along with the sound of drums I felt as if I was shaking with exictement,with the sound of violin I felt as if I was sad. Violin and snows were mixed together.Drums were beating at the climax of the flim.Why should I ask for more ? But there are alot more. When the little girl colored her lips with red colored ice-cone and asked "Am I look like a geisha? ", how could I hold myself not to amuse ? When I found out a blue eyes that the geisha girl had, was not because she's special but because she's the poor fisherman's daughter,how could I hold myself not to sympathize. It was just beautilful because those scenes are carefully crafted. The kind of audience the "Memoir of Geisha" intended to is un-recognizable.Some might even say girly or chick-flick but I like it even if I had to take an expansive mid-night cab.It was just an beautiful art for me to witness. But one caution, if you are in the thrist of eventful movies or you are a politician or movie-critic who prefer to criticize,you might not like it.You need to feel to enjoy this kind of movies. Am I look like a geisha ? Bring herself closer to the man she wants to be with even.. Yesterday I went out with my friend to watch the movie. She forgot to bring the coat but I was lucky since I wore a shot sleeve vest =) The movie name is "The Family Stone". 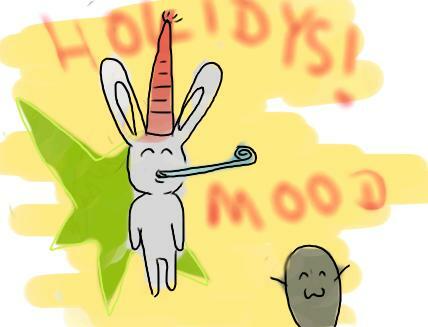 Yeah.... everybody is in holiday mood in this month. Alot of hollywood block-busters and all those public holidays are just around the coners. 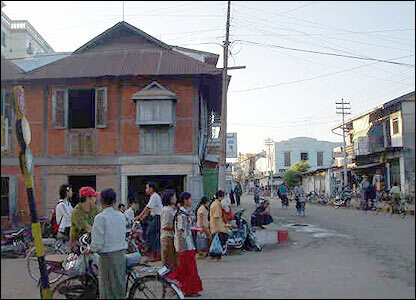 After I passed the high school exam in Yangon,my father bought a PC for me from winner computer system at the new year.I opened offline webpages (AOL,Disney and so on) in my PC and told my dad and mom that my PC could access to the internet(how dumb..). My dad's closed friend reminded me about that was not an actual internet but I stupidly thought that he bluffed me. Ya,...by reflecting those memories,I feel really stupid and I miss a past new year gift my dad bought for me and changed my life,my goals and dreams.